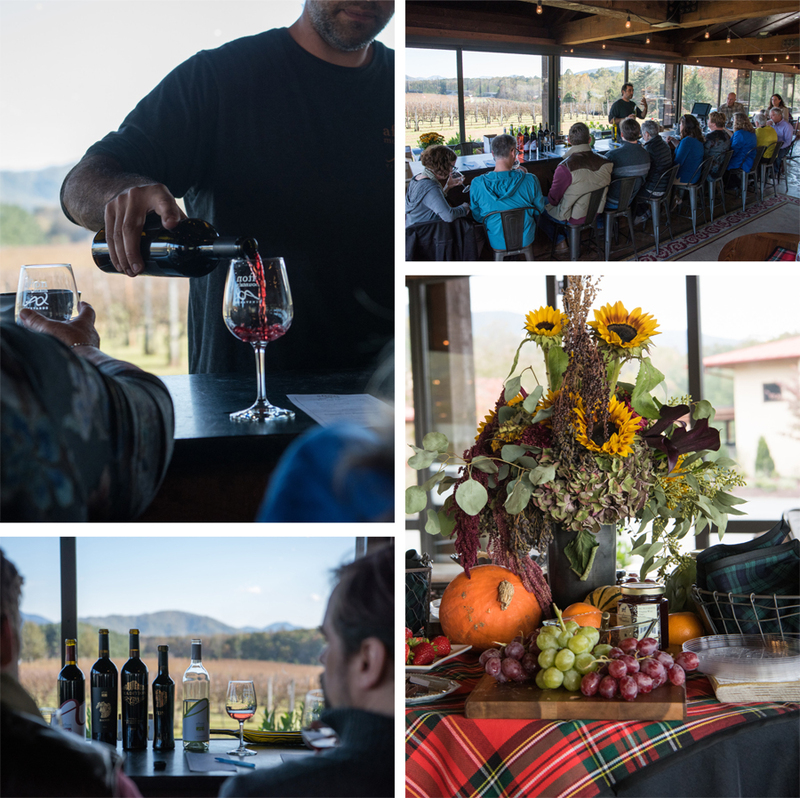 Yesterday, on a beautiful autumn day, we launched the first class in our new Food & Wine Pairing Series. Attendees joined Winemaker Damien Blanchon at Afton Mountain Vineyards for an afternoon tasting, and learned about our region’s superb wines and the local boutique wine industry that has continued to impress both national and international wine connoisseurs. Focusing on the old-world techniques of creating beautiful wines, Blanchon walked the class through his process of wine production, showcasing his French influences and education. 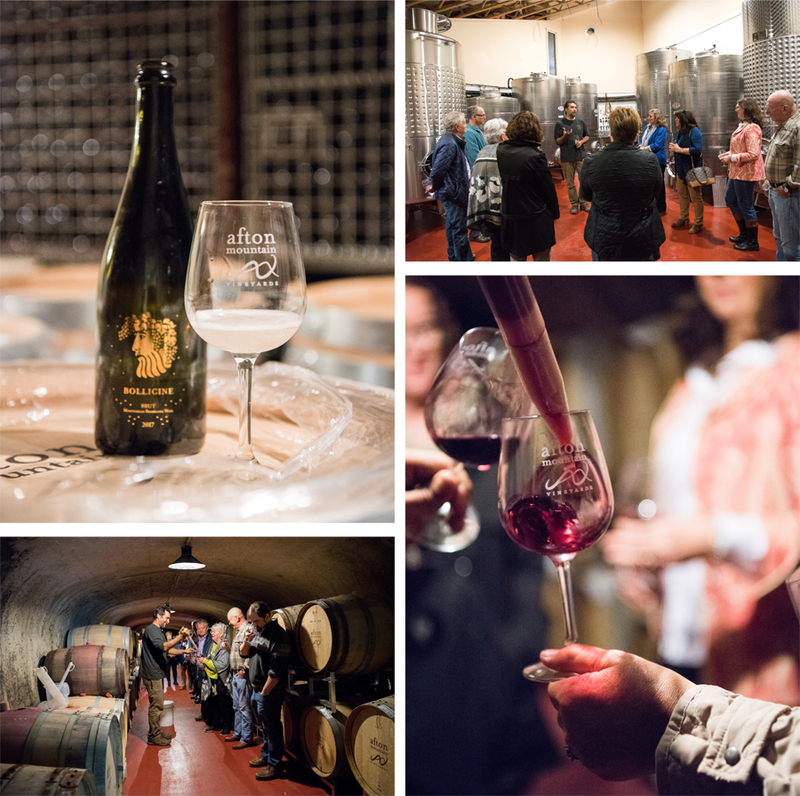 His behind-the-scenes tour began in the vineyard’s fermentation room, where Blanchon explained the process of harvesting and processing the grapes grown at Afton Mountain Vineyards, and even let participants sample some of the wines in the fermentation stages. 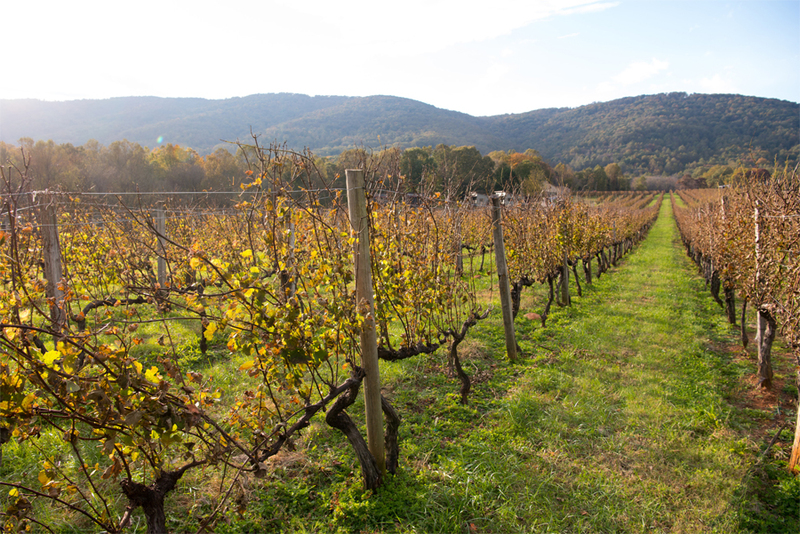 His love for the land and attention to the grapes were evident in his anecdotes describing the impact of weather and soil on the wines we drink. The tour continued through the wine processing building, where Blanchon showed participants the winery’s analysis lab, as well as the in-house pressing process and machinery used after harvesting. During his tour of the naturally insulated underground barrel room, he gave the class tastings directly from the barrels, allowing participants to compare the unique flavors and tastes brought about by different harvests, blends and ages. Following the tour of the wine processing facility, the class strolled through the vineyards down to the scenic tasting pavilion. 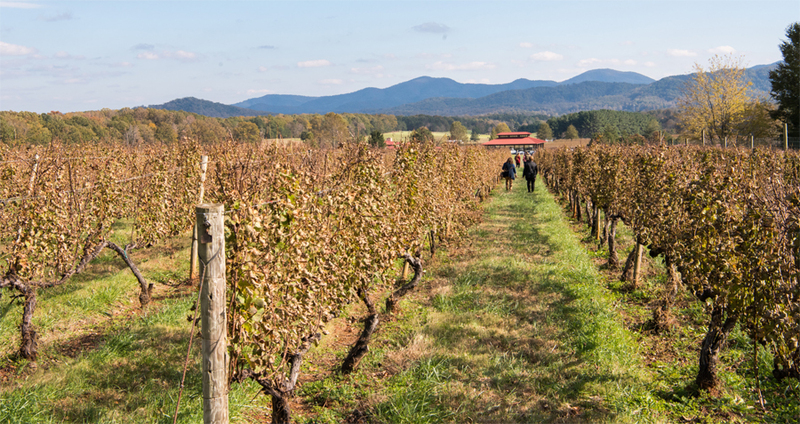 The beautiful weather showcased the winery’s stunning views and fall foliage. At the pavilion, the class enjoyed light snacks from the Charlottesville Wine & Country Shop before enjoying a formal wine tasting with Blanchon. Participants tasted the released 2017 varietals of the same wines they had sampled in both the production and barrel stages earlier. We thoroughly enjoyed working with Winemaker Damien Blanchon and Afton Mountain Vineyards for our first class, and learned so much about winemaking and the work and passion that go into each bottle produced. We would like to thank everyone who participated, and we hope you will join us for one of our upcoming pairing classes! The three final classes in our Food & Wine Pairing Series will be wine-paired dinners at Brasserie Saison. During each class, participants will enjoy talks by Sommelier Will Curley and will be joined at the dinner table by a local winemaker. You can find more information about the course here, and email concierge@ivypublications.com to sign up (classes available as a bundle or individually, and seating is limited).